A group of fourteen leaders and trainers of GOJoven México (México y Caribe Jovenes A.C.) met on March 18 and 19 in the city of Playa del Carmen to reinforce their training skills in a “Training of Trainers (TOT) in the GOJoven Model” workshop, hosted by GOJoven International, a program of the Public Health Institute (PHI). Based on the GOJoven Model Training Curriculum, they worked on four thematic capacities identified as priorities of the GOJoven México team: (1) Effective communication, (2) Active listening, (3) Group management, and (4) Team integration. These represent four distinctive elements of the GOJoven Curriculum, out of a total of 51 sessions that are organized into three comprehensive modules. Each module covers diverse thematic sessions that align with the three key axes: Sexual and Reproductive Health, Program Planning, and Youth Leadership. The TOT workshop lasted two full days, during which the participants successfully completed the theoretical and practical components, which are intimately integrated. For the theoretical component, the participants received a copy of the GOJoven Training Curriculum in which they studied the relevant modules and corresponding didactics, according to our distinctive methodology – participatory and interactive. For the practical component, the participants used the curriculum to prepare and deliver sessions as trainers, receive constructive and respectful feedback, and improve their effective training skills. The group of participating youth leaders included eleven GOJoven graduates between 2006 and 2012, who were trained using the GOJoven Model taught by GOJoven International/PHI: Ricardo Jara (2011), who currently serves as Executive Director of GOJoven Mexico, Nicté Chablé (2007), Lemuel Vega Mena (2009), Jacinta Chan (2008), Wilma Esquivel (2007), Oscar Moreno (2006), José Correa (2011), Areli Sanchez (2011), Iris Borraz (2008), Silvia Muñoz (2006), and Candelaria Ay (2012). 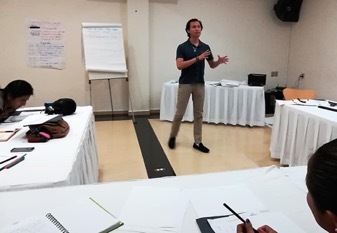 In addition, two alumni of the new generation of youth leaders trained directly by GOJoven Mexico when they replicated the GOJoven Model in 2015-2016 joined the workshop: Juan Diego Que Martinez and Aranza Beltrán. 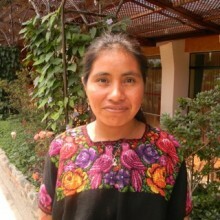 Daniela Santamaria, a staff member of the organization supporting various organizational functions, also participated. The Master GOJoven Trainer, Ángel Martinez, and GOJoven International Program Director, Esther Tahrir, acted as facilitators. The TOT workshops are offered to GOJoven alumni as a mechanism to promote the replication of the country-level training model; the exercise in leadership and ownership of the GOJoven Model for the Fellows, having the opportunity to practice what they learned; and to foster generational leadership renewal by reaching new generations of adolescents with this innovative methodology for leadership training in the field of adolescent sexual and reproductive health and rights. Of the thirteen participants in this workshop with GOJoven México, four of them had already participated in the TOT workshops previously taught by GOJoven International/PHI, and for eight of them it was their first time to receive this certification from the program. Now, they are better equipped to continue advancing their organizational mission to promote the empowerment of adolescents and youth of Quintana Roo, México, to exercise their human rights, particularly their sexual and reproductive rights.